Exactly. They need to crack those investment bottles and drink them! Too bad Bond didn't drink whisky. I stand corrected! Bond did drink whisky. There goes my argument! This post clarifies the Bond drinking preference pattern confusion. The books - germane since the medical study analyzes the books - show Bond drinking a wide variety of alcoholic drinks - particularly whisky. The movies focus strongly on the vodka martini Vesper drinking Bond. "What is James Bond's favorite drink? In the James Bond novels he drinks a total of 317 drinks. His favourite drink is a straight whiskey (101 total) He has 30 glasses of champagne, and in "You Only Live Twice" he has 35 sakes. The Vodka Martini tallies up a measly 19 totals. Only slightly over the gin martinis- 16. 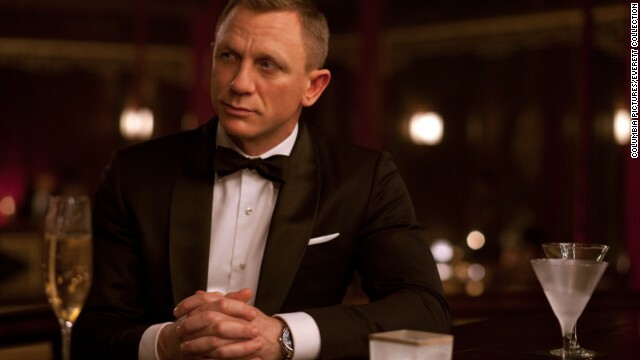 In the movies, his signature drink is the "vodka martini, shaken, not stirred", but in the 2006 relaunch starring Daniel Craig ("Casino Royale" II), Bond first defines the drink (a "Vesper") then notably dismisses this as pretentious ("Do I look like I give a damn?")." Another fun fact: Live and Let Die is currently the only Bond movie where he NEVER orders a martini. The producers had intended the film to be a reboot of the series (which is what Casino Royale later did) so familiar elements from the Sean Connery films were dropped or under-emphasized like the martinis and cigars instead of cigarettes. So Roger Moore's Bond orders a whiskey and water (aka bourbon and branch) twice in the film but never gets a chance to drink them thanks to circumstances beyond his control. Never want to get hangover symptoms like headaches, dizziness, nausea? Get detoxicated and you can curb that hangover! For further information visit their website. visit website to know how to prevent a hangover.